It was folly from the get-go. And a lesson I’ve carried with me for many years. Some of the less-experienced folks were turned off camping full-stop—and I can’t say I blamed them. We paid too much, ate too little and planned… well, we didn’t. A couple of decades have passed since then. And although camping fees have only gone up, I now know several methods to make camping trips the cheap-and-easy getaways they were always meant to be. It’s pretty easy to break the $30-per-night mark while camping these days. On a private campground, well, the sky’s the limit—sometimes as much as $50 for a tent-site. 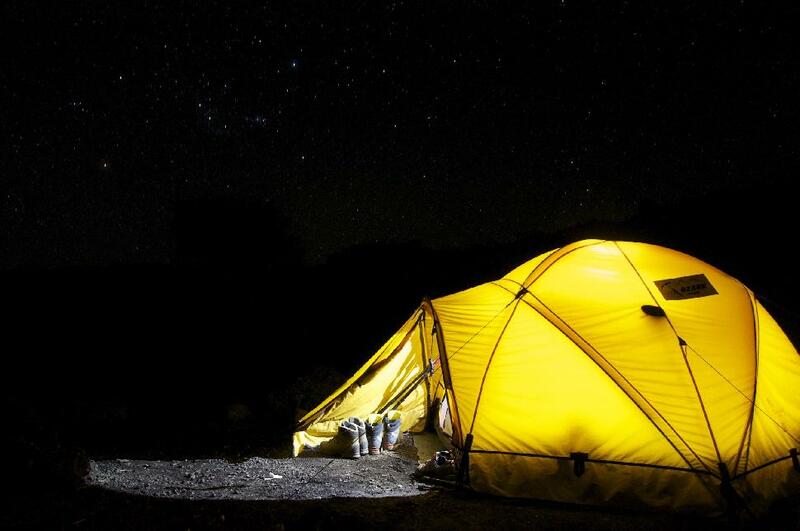 If you plan to put a dozen-or-so days in a tent per season, that’s starting to get costly. But have you searched for free campsites? Often on Crown land, they exist all over Canada. They require more effort to find and usually to get to, but they pay off in not only thriftiness, but serenity too—as long as you don’t mind being self-sufficient out there. (In other words, you’ll be lucky to find as much as an outhouse.) But isn’t that what true camping’s about anyway? Start by scrolling these articles full of free sites in British Columbia, Alberta and Ontario—then Google yourself right into a sans-pay site from there! Do like you do at home—cook from scratch. If you’re car or canoe-camping, this is pretty easy. We even made an eat-fresh Three-Day Meal Plan for you. Backpackers, well, this a bit tougher, due to weight and space concerns—but you can still borrow principles. Look for high-value foods: healthy fats, complete proteins, whole grains. Specifics? Rice and beans; hard cheese; cured meats; whole-wheat breads. Did you know farm fresh eggs will stay OK to eat for several days, unrefrigerated? Stock up on fresh fruits and veggies, too! Even consider fishing and foraging, if permitted in your area, to complement your packed food. (But don’t rely on it.) Get creative, plan your menu early and it’ll pay off in gastronomy, well-being and thriftiness. The warmer the sleeping bag, the more it costs at the checkout. Makes sense. But too many people spend way too much on their sleeping bags—opting for low-temp ratings they’ll likely never, or rarely, see. Think about it—if you car-camp in June, July and August, do you need really need a zero-degree rated bag? If you’re looking to pinch pennies—and I know you are—consider buying a lightweight bag then use Scrooge-worthy tricks to up its insulation as-needed. Tricks like: sleep in your fleece. This one seems obvious, but I’m always surprised by how many campers strip to their skivvies then complain about the cold. Or the hot-water Nalgene: fill your water bottle with hot water, screw the lid on tight (tight!) and tuck it in the bottom of your bag. Cozy! (Or just pop in a couple hand-warmers.) Or buy a bag liner: for as little as $30 or $40, you can add five degrees or more to the rating of your bag. Plus, they keep your sleeping bag cleaner, reducing the need for washing, and you can even use just the liner if the night gets really toasty. There are a lot of great commercial fire starters around, but if you’re looking to save money—and space in the backpack so you can pack more fresh food—make your own with two ingredients you likely have in your bathroom right now. Got cotton balls? Got petroleum jelly? OK—mix them together. (Roll the balls in the jelly until they’re saturated.) Now, stuff a couple dozen of in a plastic bag. Done—for the season. When you’re at the site, simply remove a cotton ball, fluff it and add spark or flame. They burn hot and for at least a minute or more, meaning if you’ve crafted a base of fine kindling you won’t even need newspaper (saving space, weight and if you’re really unprepared, cost). And this is just one of our favourite ways to make fire starters—Kevin Callan details seven more, from corn chips to hand sanitizer. Quality gear lasts years. If your Gore-Tex jacket is taking on water, however, it likely doesn’t need to be replaced. It just needs to be washed—properly. Somewhere out there, some wiseguy started a rumour that washing waterproof apparel is bad for it. No! You should be washing your hard- or soft-shell and/or puffy jacket several times per year. The trick is to wash them with gear-specific cleaner—and never with traditional laundry detergent. We outline the how-to of it here, including tips for down jackets. Your takeaway is that buying $15 worth of cleaner per year is cheaper than a $400 jacket every couple of years. Because if you don’t clean it, bacteria will migrate from your sweaty body onto the jacket and munch away the membrane. (Then you will have to buy a new jacket.) And once per year or so, re-proof it with a wash-in water-repellent. It’s like having a brand new coat! Don’t forget to seam-seal and UV-treat your tents. Seam-sealing helps the shelter's performance, but wash-in or spray-on UV-treatments will repel the greatest source of deterioration to nylon: the sun. 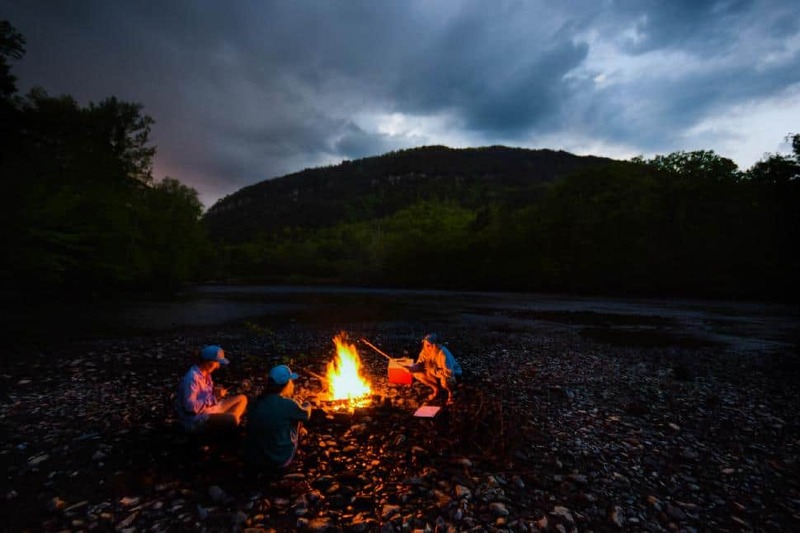 You need more than just the outdoors to enjoy the outdoors. 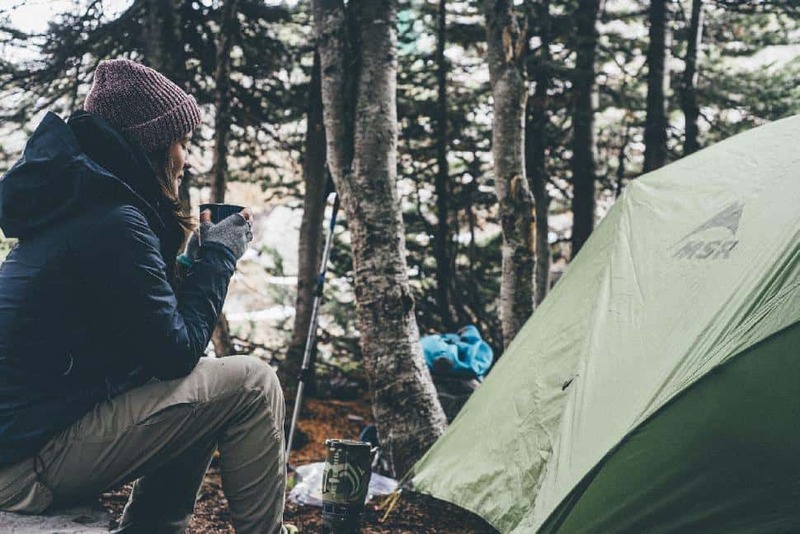 Beyond tents, jackets and hiking boots—you need camp stoves, cookwear, safety equipment, lighting, quality knives, dry bags, trail crampons… all of which cost cash. So how do you beat the system? By taking advantage of subscription services. Much like subscribing to explore magazine saves money off newsstand, ordering a subscription box of outdoor gear saves you cash and delivers the product to your door. This style of shopping is huge in the beauty product, pet care and fashion world. So it's about time the outdoor world caught on too. Kickin' it old school. Sometimes, the best gear is classic gear. Especially when it incorporates some new tech. Check out these five items that seem summoned from days gone by.